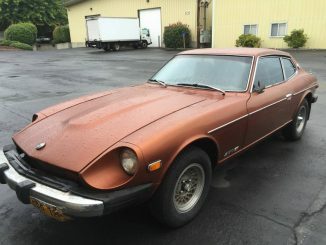 (1975 – 1978) Datsun 280Z Cars & Parts For Sale in the Portland, Oregon – Click on the image on the left or the bold title to see the full ad details and more photos. Listed below are the 10 most recent listings. After the last listing use the page navigation to see previous ads. Use the search box above for specific 280Z features and other specifics. Browse by model year or by parts posts below. We are currently only serving ads from the United States and Canada, collectively the English speaking countries of North America. In the future we may cover Mexico and other regions as demand dictates it. Please Contact us with any questions or suggestions surrounding our service areas.